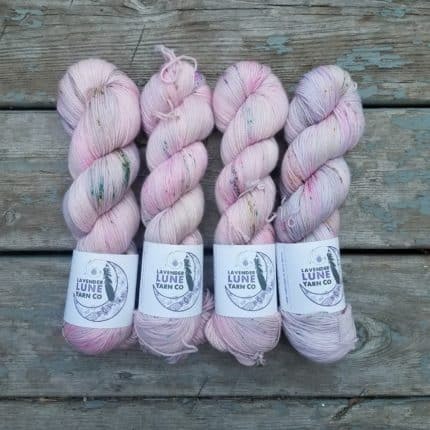 Marketplace : Lavender Lune Yarn Co. 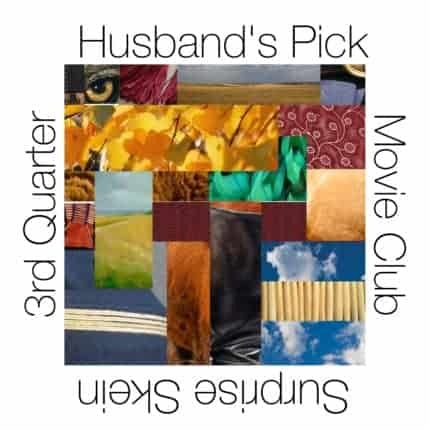 This year I am doing one of the most exciting yarn clubs out there! One of my favorite parts of dyeing yarn is we all do it differently and we each have our own style. 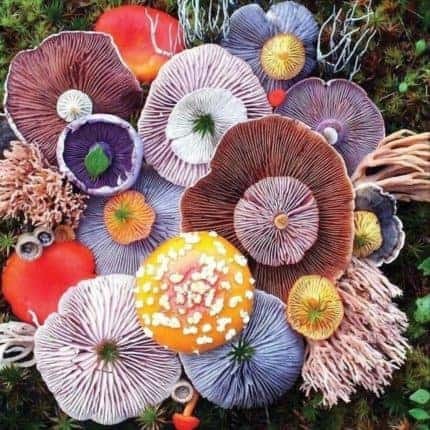 It’s often talked about that even if two dyers had the same set of dyes, their skeins of yarn would still look different because we are all unique. 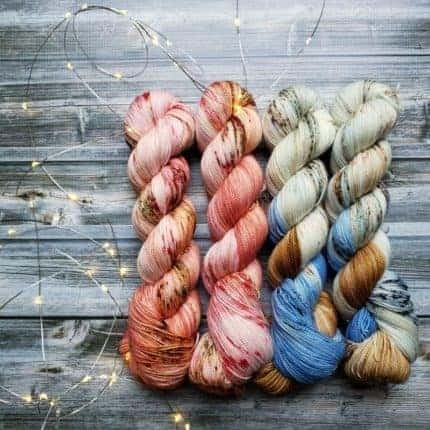 To show there is a place for us all, each month I am collaborating with a different indie dyer to create one of kind sets based on a common inspiration. The cool part, we aren’t discussing anything else about our colorways once the inspiration is chosen, we just go and do our thing. What comes from this is two unique, yet coordinating yarn to use for two-color shawls, as part of a fade or even colorwork possibilities. So far this year I have had the pleasure to work with Machete Shoppe, The Flying Kettle and Woolberry Fiber Co. Some months will have special items included like stitch markers (last month was Blue Dog Workshop), other goodies, or even patterns designed specially for that month! The month of April is a very exciting month indeed! I have paired up with Nicole from HueLoco to create a beautiful set that will feature a summer top designed by Olga from Handmade Closet. Preorders will go live in my shop on April 1 for only one week. You won’t want to miss out on this month, trust me! I’m looking at this as a little bit of an experiment and I also hope for the club to be in the true spirit of what this community is: connections, sharing and love. 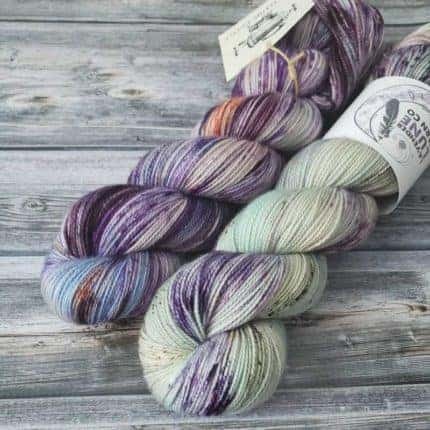 I am so excited to bring to you all what I hope to be one of the most exciting yarn clubs in 2019! One of my favorite parts of dyeing yarn is that we all do it differently and we each have our own style. 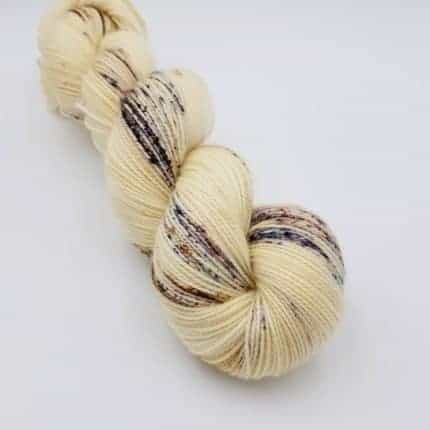 It’s often talked about that even if two dyers had the same set of dyes, their skeins of yarn would still look different because we are all unique. 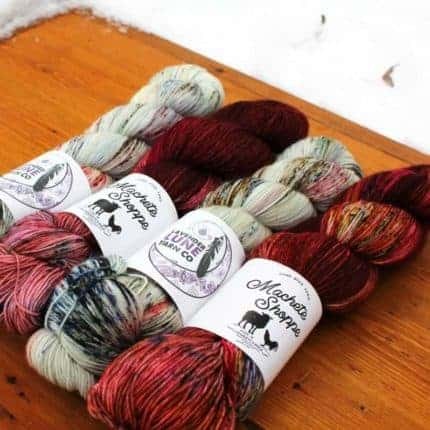 In January, Brittany from Machete Shoppe and I will dye our own colorways from the same beautiful color inspiration photo to create a one-of-a-kind coordinating kit! Preorders are currently open in my shop until January 8th, they will ship at the end of January! 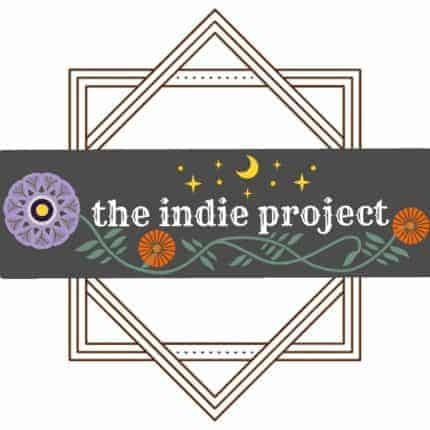 It’s going to be fabulous and you don’t want to miss out on this very first month of The Indie Project! And don’t forget, preorders will be open the 1st of every month this year! 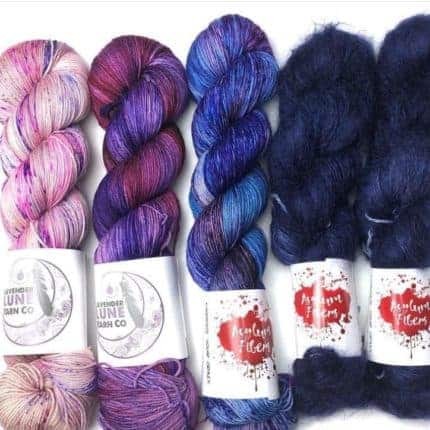 You won’t want to miss all the amazing dyers I have lined up for this! I’m looking at this club as a little bit of an experiment, but I also hope for the club to be in the true spirit of what this community is to us all: connections, sharing and love! 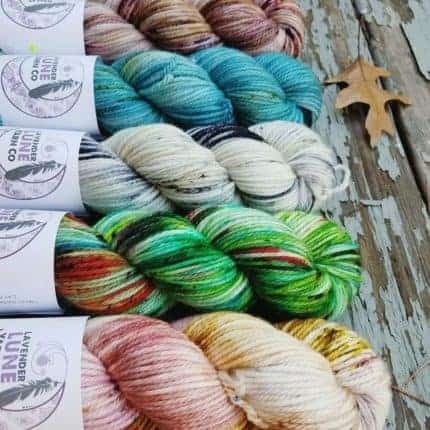 I will finally be putting yarn into the shop this week after a crazy busy fall show season (Indie Untangled and Vogue Knitting Live Minneapolis)! So with that in mind and Thanksgiving, let’s have a sale all weekend for all the sales, Friday through Monday!! 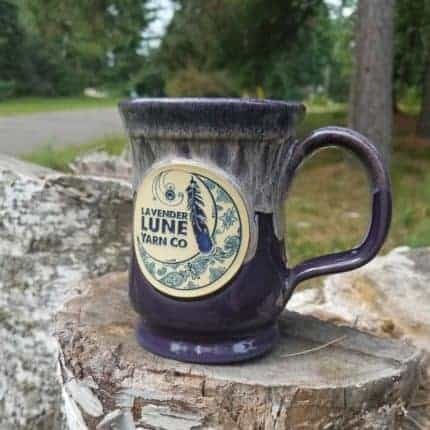 I will have mostly DK in the shop along with some really fun gift ideas like beautiful mugs, exclusive pins designed for me by Shelli Can, needle gauges and even some Tuft Woolens soaps! And don’t forget to check out my 2018 holiday colors, Candy Cane Forest and Son of a Nutcracker! Use code SHOPSMALL18 for 15% off everything. 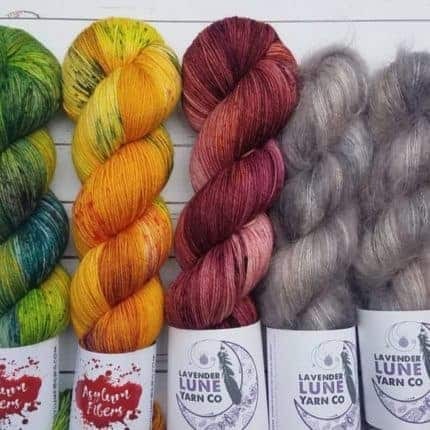 The first 10 orders will also get two free mini skeins in their order! Don’t forget to sign up for my occasional newsletter for even more savings. 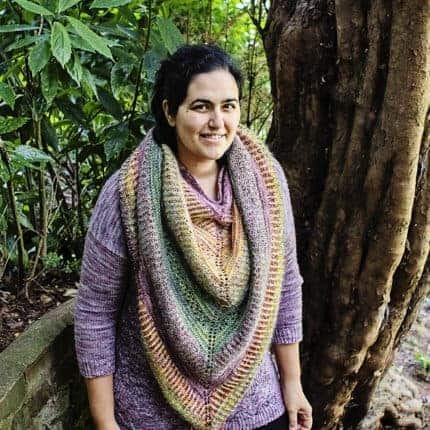 Lavender Lune Yarn Co., Asylum Fibers and Knitting Expat Designs have collaborated to bring you a shawl and yarn kit just in time for Indie Untangled next month!!! 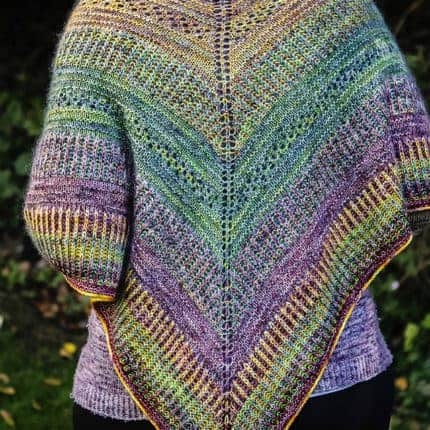 Mina Philipp’s gorgeous new pattern will be released October 19th, the day of Indie Untangled. She designed it with a kit Sam and Stephanie created combining both of their yarns. The magic of this shawl is that you hold a strand of mohair throughout to create a glorious blend of colorways and an oh-so-soft FO! 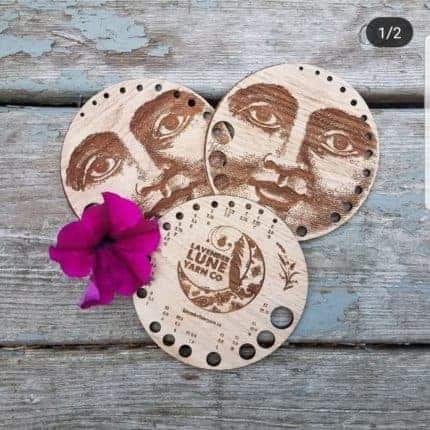 If you are an Indie Untangled ticket holder you can purchase kits to pick up the day of the Indie Untangled event at the Asylum Fibers/Lavender Lune Yarn Co. booth. 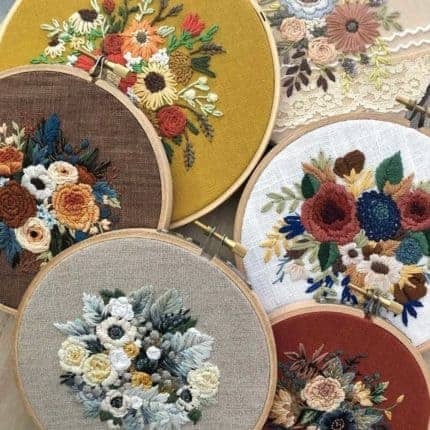 Or you can have them sent to you just before the pattern releases. 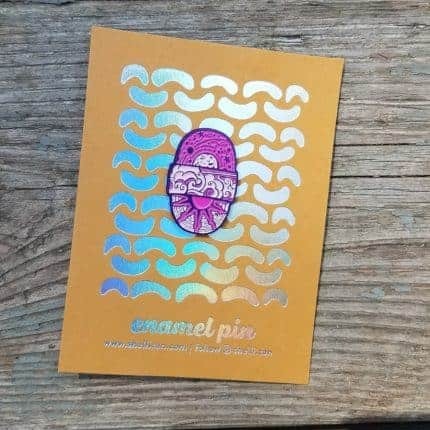 Quantities are limited and preorders will only be open for about a week!! I am so excited to announce my new website is up and running!! My husband has worked quite hard on this for me for a couple months now and I’m so excited to finally share it with you!! The best part… you can now buy my yarn on my website and it’s fully stocked!! I will no longer be using Etsy. It’s all so exciting and nerve-wracking at the same time. Please take a look and let me know what you think!! Just a quick one to tell you all that I’m having a sale this weekend! Friday to Tuesday get 20% off in my shop with code BLACKFRIDAY17. As an Indie Untangled reader, you get first dibs — I won’t post to other social media until Saturday! I have lots of beautiful worsted and aran weight hanging out in the shop. But anyways, just wanted to share that I have some great aran weight yarns in the shop all ready to be made into winter hats! I also have some of my holiday kits still available. They include 12 surprise minis, and an option to buy a coordinating full skein. The kit also includes a bag of goodies from some of our other favorite makers. The idea is to use them however you see fit for whatever holiday you celebrate. It’s a fabulous kit and you don’t want to miss out! Next Shop Update: Sunday, November 5 @ 7 p.m. Central. 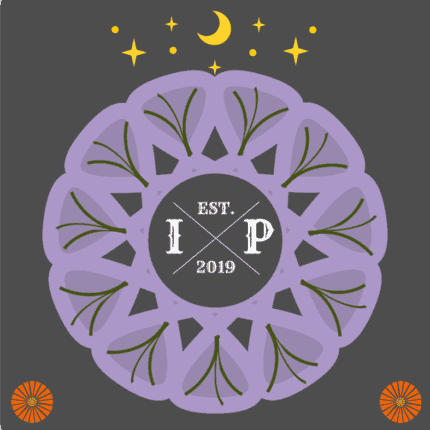 I just wanted to let you all know that I’ve put a listing up in the shop until Friday morning for a colorway yet to be figured out (so it will be a surprise skein of yarn). 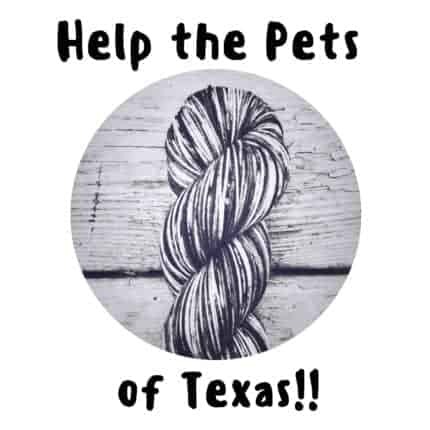 50% of the proceeds from this colorway will go directly to the SPCA of Texas, which is taking in displaced pets. Please help spread the word! I am the new kid here and so excited to be joining all of the amazing dyers already a part of Indie Untangled! 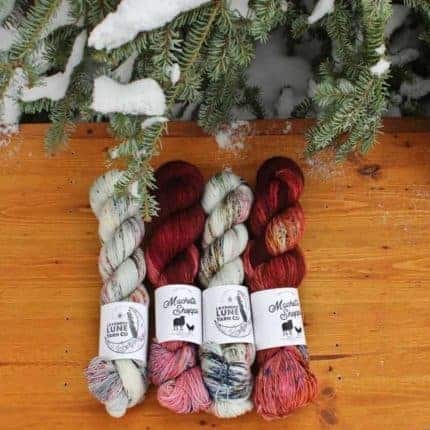 I wanted to share just a quick first post about a special yarn club that I will be offering quarterly. My husband recently decided he wanted to contribute a little to my business. So he has put together a mood board based on a movie. 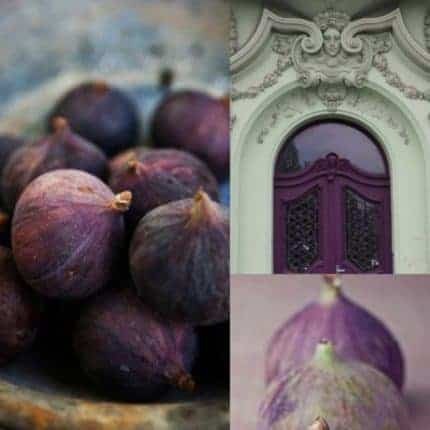 It’s part color inspiration for me and part puzzle for you. Can you figure out what movie this mood board is from? I will only have listings available in the shop for a couple more days and this colorway will be exclusive and never repeated. So don’t hesitate, otherwise be on the lookout in October for the next one!